“Annigonol ydy un iaith.” — One language is never enough. Sometime in the late 90’s, I hiked from the Isle of Anglesey, through North Wales, Snowdonia, and down the Pembrokeshire Coast path, with the Irish Sea to my side. I explored miles of solitude and natural beauty and ancient relics and history, an experience that I will be expanding in an essay, for a planned collection. For today, I offer the following to honor the Scottish independence referendum, for reasons that I hope will be clear by the entry’s end. On the first leg of my Welsh journey, I stayed on Anglesey, a large island off the western shore, that’s a short ferry trip from Dublin, across the Irish Sea. The island is a remarkable land, as are its people. I stayed on a 550 acre farmhouse bed and breakfast, taking day trips from this rural, comfortable base. Mrs. Jane Brown ran the bed and breakfast, and she was a model of charm, hospitality, warmth, and a library of history about the area and Welsh lore. Mrs. Brown gave me the kind of oral history rich in color and texture that only a native could create. Her generosity was singular. Mrs. Brown and her daughter-in-law took me on several day trips to places that few outsiders could have or would have known about. One trip was to a church used only few months a year, for when the tides change with the seasons, water surrounds the church the rest of year making the sanctuary inaccessible. There are no public programs to change this. Instead, the locals work with the way things are, they honor nature, this ancient space, and the mystery of the two together. The doors open and close at nature’s invitation. When the waters recede, it’s a local pilgrimage that honors life, death, and change. Archaic, I entered a world in which rituals from nearly a thousand of years ago remained unchanged, the rough old stones and worn wooden benches whisper stories that give themselves over for a brief time. Most of the year, this space protects itself from the outside world, with the rise of water around it. The world I entered in North Wales, and particularly in Anglesey, was rare. Strangers were friends in minutes. I remember tea with Mrs. Brown, her daughter-in-law, and their distant relatives who lived in an old farmhouse, near the island’s border to the channel, and the Welsh mainland. Mrs. Brown’s distant cousin embraced me, a modern American woman, and introduced me to the entire family, including the horses and sheep, an introduction followed by warm elderberry pie fresh out of the oven, which was a large stone hearth in the kitchen, hot black tea, and lively conversation. One does not pay for such human, “cultural,” experiences, they are freely given when people share of themselves. Mrs. Brown fixed me a lovely dinner before I left, that included her entire family, with whom I had become attached, in two weeks. Over dinner, they asked what I would be doing when I left, where I would go, what were my plans. I mentioned my stint to hike up Snowdonia, then I would bus over to the coast and begin my long hike down the length Pembrokeshire Coast path, eventually taking the train from Carmathen to London. “I’m excited about London, because of the free museums,” I said. They chuckled. I then said, in light humor, “Maybe I’ll bump into the Prince of Wales,” believing that I was connecting my London visit with them, even though they would be miles away, trying to tell them that I would miss them, and be thinking of them, still. The table went silent. I looked around, and suddenly the uncommon warmth that had been given to me disappeared, and there was a palpable void. “Okay. I’m sorry. But why?” I asked, completely perplexed. I had offended these folks who had been wonderful to me, had adopted a simple bed-and breakfast lodger as family during my time with them, and I hadn’t a clue about what I had done. Dumb American, I thought to myself, wondering how I could be so thick. The tension dissipated, and we returned to Mrs. Brown’s lovely supper, and Mrs. Brown opened another bottle of Welsh made wine. But I then understood that there were things not usually talked about with guests, and I also understood how deep the Welsh identity cut here in the northern parts, in the farthest reaches from England’s geographical influence. The history made privy to me was Welsh history. Not English history. Not the history of the United Kingdom. They were Welsh. They had unique stories, and a unique understanding of the world, that they kept alive, passing down, giving freely. 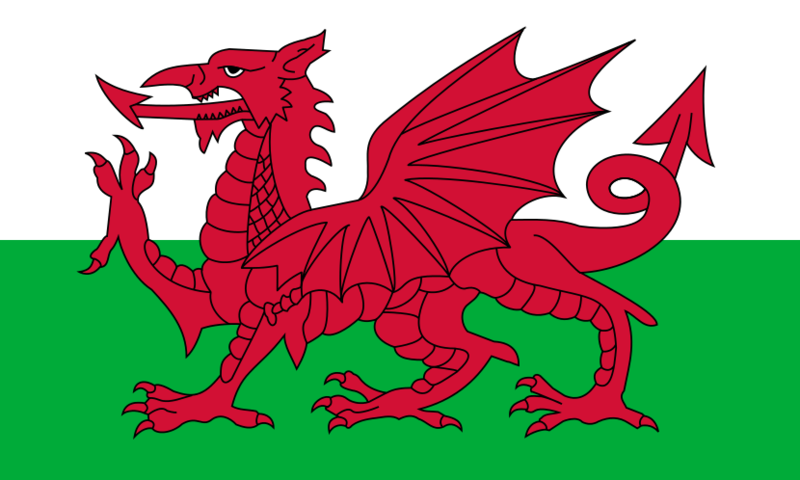 The were Welsh and proud. This identity was perhaps nowhere more clear than in the signposts written in Cymraeg. The smaller the village, the less the need or want to translate. You understand or you don’t. “He’s not Welsh!” I’ll never forget that moment, a moment that changed my too American perspective, and made my blood identity to my Scottish kin deeper, gave me more circumspect respect for the spirit of those who refuse the control of anyone’s history, no matter how quiet that rebellion. Now, when I say, “I am a Guthrie, ” and remember the stories my mother gave to me about her family’s people, and their independent pioneering into the midwest, I understand something a little deeper and richer, thanks to Mrs. Brown. Sheets of nearly completed mandalas and almost finished paisley print pictures and bright flower pictures needing more color cover the living area’s floor. Pens and pencils and scribbled-in journals and half-read books are strewn in exquisite chaos across the rug, in a room lit by candles, scented by incense, serenaded by crickets and frogs and late summer breezes blowing through the doors, a music that will too soon fade into winter’s slumbering silence. Behind the couch sits the dining table, the boundaries between it and the easel in the corner are indistinguishable, for the flurry of paints and torn art books and brushes and pencils and watercolor pads and tubes of gouache and brightly colored tissue paper create a scene worthy of an artist’s canvas, form and content merging in this cosmos of clutter. I am less certain that I am creating art than living it. Yet in the heart’s sphere, these beautiful atonal, asymmetric stacks of paper and paint and glitter and colored pencils dance in reverie, disregarding my too critical eye. Because they show my heart finding its way, art emerges in these exquisite stacks of colorful bedlam, an exploration reminiscent of a nebula explosion. I know at my life’s end, there will be more left undone than done, and I whet my spirit with that dissatisfaction. Until then, I look at what some would call clutter, the maelstrom of a disorganized and unfocused mind, and I see life rise like great art into the evening’s quiet.